We can repair or replace your water heater in Carmel Valley. Free estimates for Carmel Valley. 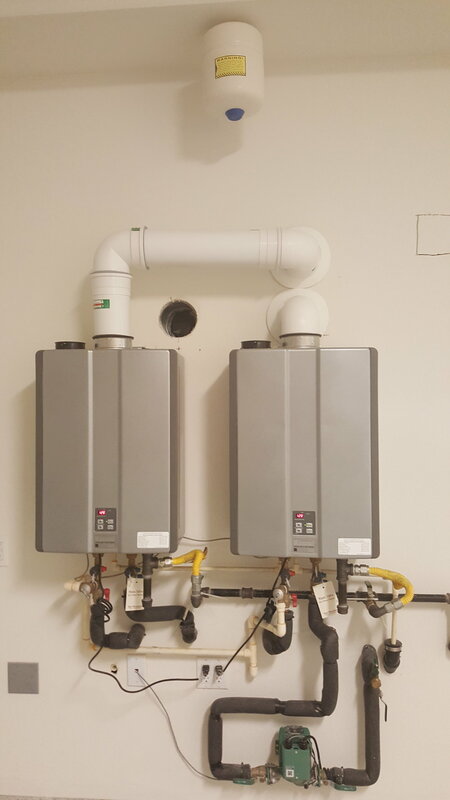 Tankless installation and service also available. Call today 760.845.0907. Best toilet repair in Carlsbad. Pipe repair in Carlsbad. Faucet replacement in Carlsbad. Plumber in Carlsbad. Available 7 days a week. Have a question? Need to schedule an appointment? Call now 760.845.0907. Water heater leaking in Poway? Need water heater repair in Poway? Need professional plumber in Poway? Not quite ready to make that call? Plumbing emergencies can feel like a nightmare. It doesn't have to be like that. Don't worry, our professionals are here to help you through this process. Call today 760-845-0907. Water heater leaking in Oceanside? Need water heater repair in Oceanside? Need professional plumber in Oceanside? Not quite ready to make that call? Plumbing emergencies can feel like a nightmare. It doesn't have to be like that. Don't worry, our professionals are here to help you through this process. Call today 760-845-0907. Water heater leaking in Encinitas Ca? Need water heater repair in Encinitas? Need professional plumber in Encinitas? Not quite ready to make that call? Plumbing emergencies can feel like a nightmare. It doesn't have to be like that. Don't worry, our professionals are here to help you through this process. Call today 760-845-0907. Water heater leaking in Carlsbad? Need water heater repair in Carlsbad? Need professional plumber in Carlsbad? Not quite ready to make that call? Plumbing emergencies can feel like a nightmare. It doesn't have to be like that. Don't worry, our professionals are here to help you through this process. Call today 760-845-0907. Water heater leaking in San Marcos? Need water heater repair in San Marcos? Plumbing repairs needed for your home? Not quite ready to make that call? Plumbing emergencies can feel like a nightmare. It doesn't have to be like that. Don't worry, our professionals are here to help you through this process. Call today 760-845-0907. Water heater leaking in Carmel Valley? Need water heater repair in Carmel Valley? Plumbing repairs needed for your home? Not quite ready to make that call? Plumbing emergencies can feel like a nightmare. It doesn't have to be like that. Don't worry, our professionals are here to help you through this process. Call today 760-845-0907. Water heater not working? Water heaters leaking? Need to replace? Need plumbing repairs? Our expert plumbers are available to help you today! Call now to speak to a real plumber 760.845.0907. 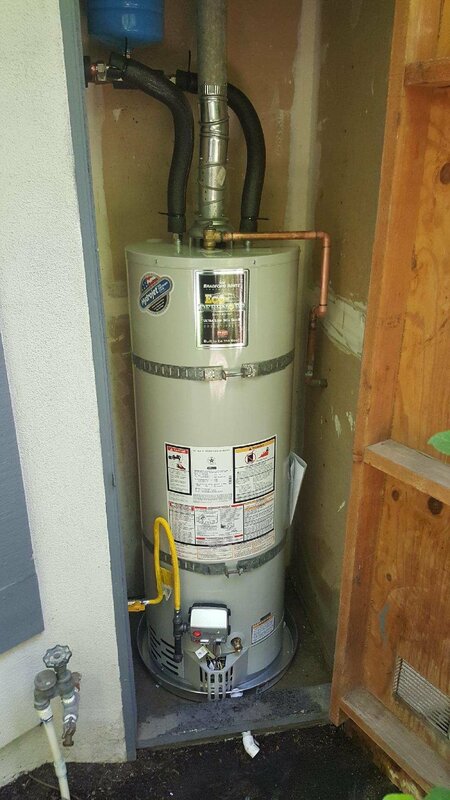 Best water heater replacement plumber near San Marcos 92069 92078 Encinitas 92024 Cardiff 92007 Poway 92064. We also offer a variety of plumbing services including leak repair, toilet repairs and installations, faucet installation, water pressure maintenance, valve replacement and drain cleaning. Call today to speak to a professional. 760.845.0907. Best water heater replacement plumber near Carlsbad 92008 92009 92010 92011 Carmel Valley 92130 Oceanside 92054. We also offer a variety of plumbing services including leak repair, toilet repairs and installations, faucet installation, water pressure maintenance, valve replacement and drain cleaning. Call today to speak to a professional. 760.845.0907. Need to find repair plumber for water heater leaking near Poway 92064 or Escondido 92027 92026 92025? Look no further, our professional and knowledgeable plumbers are available to help! Need to find repair plumber for water heater leaking near San Marcos 92069 92078 Vista 92081? Look no further, our professional and knowledgeable plumbers are available to help! Need to find repair plumber for water heater leaking near Carlsbad Ca 92008 92009 92010 92011? Look no further, our professional and knowledgeable plumbers are available to help! Need to find repair plumber for water heater leaking near Carmel Valley 92130 or Cardiff 92007? Look no further, our professional and knowledgeable plumbers are available to help!